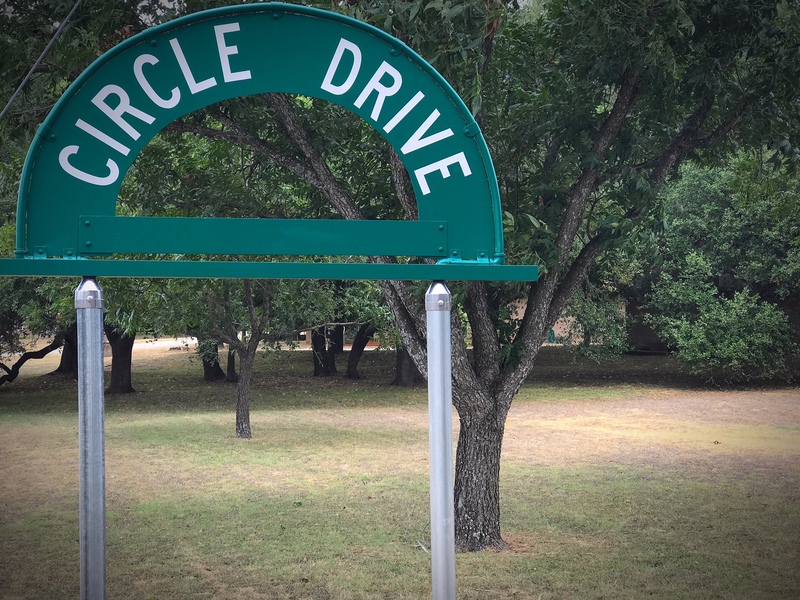 Take a drive by FM 1626 and Circle Drive to see the newly restored Circle Drive sign! A big thank you to the entire Village council for keeping the Village of San Leanna so beautiful, clean, safe, and unique – and particularly to Fred Helmerichs for arranging the Circle Drive sign restoration and getting out there to install it himself in this heat. It looks great!